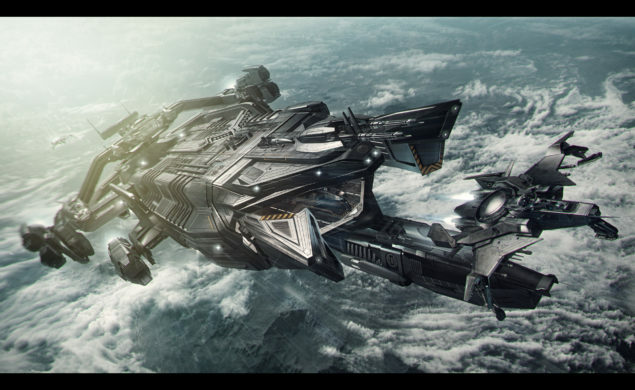 Star Citizen Feb ’16: Star Marine & 2.2 Details! 2.2 is currently in its 6th build on the PTU. Further details in the New Versions section. A CIG global “pop-up” event is taking place on the 4th of March. The response was overwhelming and those that responded to the initial thread in the forums are mostly able to go, although for some of the locations there were simply too many responses. There will be more such events to meet the team! Chris Roberts continued hitting the road hard in February, spending time in (obviously) LA, but also Foundry 42 in the UK and Foundry 42 in Frankfurt. Larger ships are currently being destroyed too quickly compared to what they will finally be like in game, this is a balancing issue and likely to be worked on later, particularly as the ship repair mechanics come online and ship crew will be able to have a window of opportunity to repair damage done to a larger ship before it gets destroyed. Current focus with regards to netcode is server and client optimisation rather than data packet size at this stage although packet size and delta updates will also be looked at later on. Idris frigate was flyable in house! The significance of this is huge given the size of the ship and the number of systems and control points it will have! Additional backer rewards are now in the “My Hangar” section of the website! Everything from $42m to $100m should now be visible if you backed before that stretch goal milestone was reached. Xi’an Scout is being worked on and should be finished soon. Once done, three older ships will be brought up to current standards (Aurora, 300i and Hornet). The great package split has occurred! As we get nearer to the release of both Squadron 42 (single player campaign) and Star Citizen (online MMO), the two games have been split. CIG have been very transparent about this incoming split for a long time so hopefully if you were interested in getting both, you got the starter package before they separated them out but anyone new to the game now who wants both will pay a higher price. 3. All About Star Marine!